Exquisite Craftsmanship with Fine Finishes throughout this Five Bedroom-All En Suite Home. The Open Concept Design Features Soaring Arched Great Room with Wood Beams, Gorgeous Floor to Ceiling Stone Fireplace, Hardwood Floors & Natural Light Throughout. Entertaining is Effortless in the Stunning Dining Room with Coffered Ceiling, Wainscoting & Arched Entry. Chef's Kitchen with High End Stainless Steel Appliances, Butler's Bar & Pantry. Spacious First Floor Master Suite or Private Office & Inviting Personal Patio. Second Level includes Grand Master Suite with Luxurious Spa Bath & Walk-In Closet. Two Additional En Suite Bedrooms. Lower Level Features Generous Family Room, Fireplace, Game Area, Guest Room & Storage Room. Two French Doors lead to Dream Backyard with Lux Patio - Perfect for Elegant Parties or a Barbecue. Nestled on a Quiet, Tree Lined Street - Close to Top Rated D181 & D86 Schools, Train, Shopping & Highways. This is your Dream Home! This Hinsdale, Illinois Detached Single is located at 740 Phillippa Street in and has 4 bedrooms, 5 full & 1 half bathrooms with approx 0 square feet and a Full Finished Basement. It has been listed For Sale on Blue Fence for 168 days and is currently Cancelled on the Multiple Listing Service (MLS#: 10133794) with a list price of $ 874,900 or a price per sqft of $ 0. 740 Phillippa Street is located within the Hinsdale City Limits, 60521 zip code and in Cook County Illinois. The Detached Single property was built in 2011 with a lot size of Less Than .25 Acre and has Garage,Space/s with 6 Spaces. School age children living at 740 Phillippa Street would go to Elementary School at The Lane Elementary School (District 181), Middle School at Hinsdale Middle School (District 181) and High School at Hinsdale Central High School (District 86). Do you have questions about 740 Phillippa Street in Hinsdale? Learn more about this property and other Hinsdale real estate for sale by contacting the best high selling real estate agents REALTORS® with awarding winning Blue Fence Real Estate. 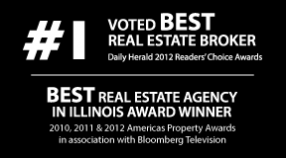 Simply request more information from a top rated Blue Fence REALTOR® or browse all of the most updated listings of Hinsdale Homes For Sale. I was searching on Blue Fence and found this listing. Please send me more information about 740 Phillippa Street, Hinsdale, Illinois 60521. Thank you.